Classic metal pull by Richelieu. The delicately arched handle with sturdy flared ends will provide tasteful embellishment to any dicor. 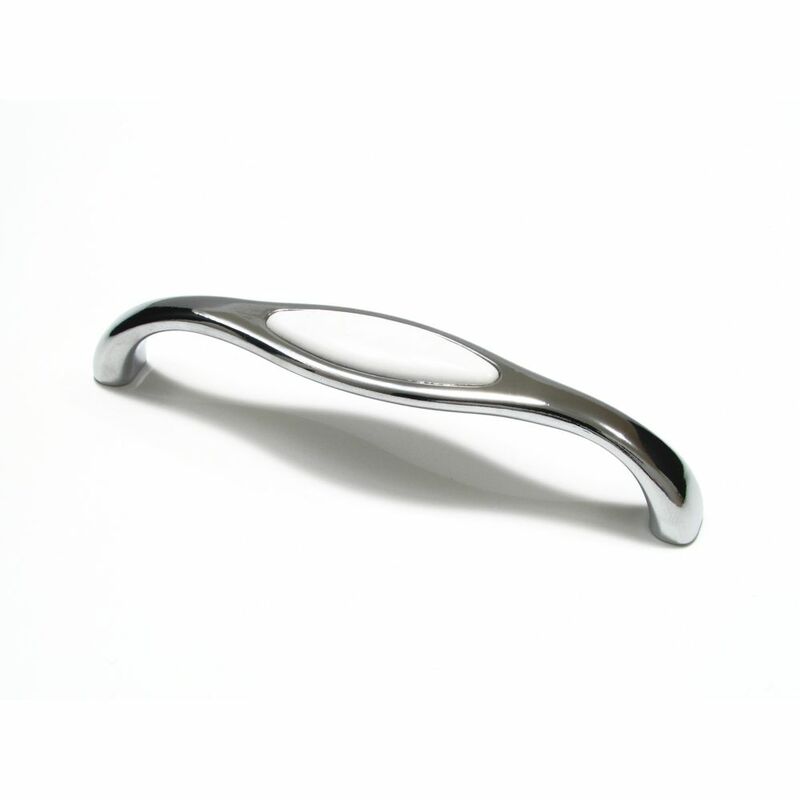 Traditional metal handle with rounded ends by Richelieu. The texture of the hammered surface will give new life to your dicor. Traditional metal pull with birdcage handle. Delicate detail for your elegant dicor. Traditional Metal and Ceramic Pull 5 1/32 in (128 mm) CtoC - Cherbourg Collection Designed to fit a classic style, this Richelieu handle features rounded corners and a white ceramic oval detail. Looks beautiful in any room!